BelarusDigest > Social > Civil society fundraising in Belarus: time to go local and crowdfund? 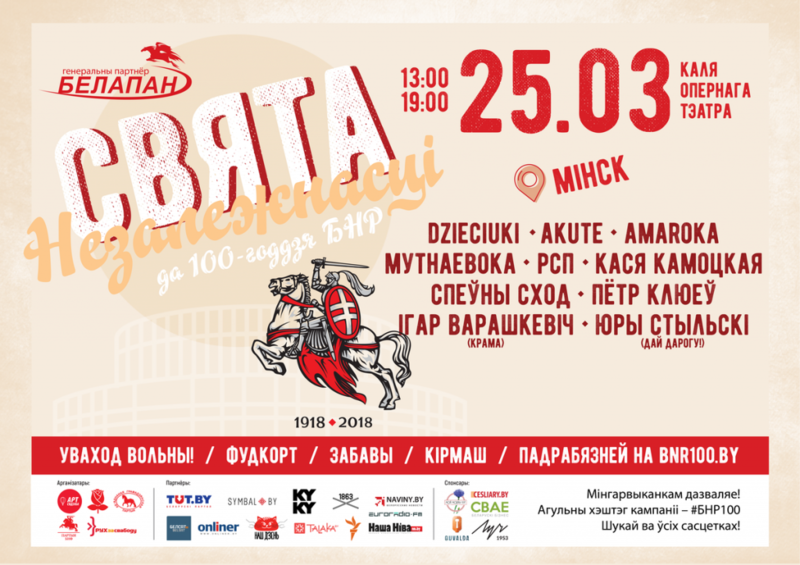 Belarusian civil society celebrated Freedom Day in the heart of Minsk on 25th March thanks to a massive and successful fundraising campaign. Grassroots fundraising may be uncommon in Belarus, but a steady trend for the success of such campaigns has emerged. During the Lukashenka era, the state has generally viewed civil society organisations (CSOs) with great suspicion and severely restricted their activities. CSOs faced serious difficulties both raising funds in Belarus and obtaining them from foreign donors. As a result, CSOs depended too heavily on foreign aid. A changing political situation expands opportunities for new fundraising strategies. Civil society needs to focus on local sources of funds and work closely with target groups, businesses and the government. Recent success stories demonstrate that such practices have become possible. However, this wisdom largely applies to one-off projects, events or short campaigns. Long-term projects remain virtually impossible to sustain through local fundraising. Organisations and the media, especially those dealing with human rights, democracy and the promotion of reforms, still rely on external support to continue their activity. Almost all Belarusian non-governmental organisations (NGOs) report that they have an unstable, even miserable, financial situation. The situation does not surprise in light of state restrictions on both local fundraising and foreign aid. Mandatory registration of foreign aid with the Department for Humanitarian Affairs of the Presidential Affairs Office impacts all NGOs in Belarus. The regulations list certain activities for which foreign grants cannot be used, and in 2011 the government introduced criminal liability for violating the procedure for obtaining and using foreign aid. Despite this, foreign aid functions as the most important source of revenue for Belarusian CSOs. They bypass legal ways of receiving it and usually bring cash to the country or invent other ways to obtain it. The state often uses difficulties with legalising foreign aid as a tool for cracking down on civil society, as in the cases of Alieś Bialiacki or a more recent case of independent trade unions. Raising funds inside Belarus remains complicated due to restrictions on the independent economic activity of CSOs and also on sponsorship by legal entities. Businesses are afraid to donate to initiatives, with the exception of cultural or charitable ones, since the state can easily find a reason to make any business in Belarus illegal. Ordinary Belarusians, meanwhile, have a vague understanding of what civil society is and why they should donate money to other citizens through such organisations. Maryna Dubina, a Green Network environmental activist, told Belarus Digest that citizens do not want to fund CSOs because they do not know them, do not trust them, and lack the will to take responsibility for public issues. People are particularly afraid to engage in issues which are high on the government’s agenda, such as the Belarusian-Chinese Technology Park and the nuclear power plant. In such cases, citizens fear state repression. According to Andrej Jahoraŭ, director of the Centre for European Transformation, Belarusians occasionally support grassroots initiatives dealing with simple problems like children, the disabled, vulnerable groups or issues related to popular personalities. However, a more institutionalised activity would not manage to finance itself through crowdfunding. This, of course, results from government policy that has excluded CSOs from public life for decades. However, blame for civil society’s dire financial situation does not rest with the government alone. Many representatives of civil society appear hooked on foreign grants and lack an incentive to change fundraising strategies. As Yury Čavusaŭ argues in the Belarusian Yearbook overview, the political warming in relations between official Minsk and the West changed donor strategies among the main sources of foreign aid to Belarus. The EU has increased its financial assistance, but it redistributed funds in favour of state bodies and the structures affiliated with the state. Thus, at the end of 2017, the EU published a programme of financial assistance to Belarus, which offers up to €136m to promote reforms. Meanwhile, CSOs note a significant decrease in grant opportunities for civil society in Belarus. Some CSOs began to adapt to the new situation by changing their fundraising approach vis-a-vis foreign donors, or by redirecting the focus of their activities to cooperation with the authorities. Initiatives like the October Economic Forum and Minsk Dialogue presented successful examples of collaboration with the government on the highest level. Other CSOs, especially small organisations and new start-up projects, turned to fundraising inside Belarus: these crowdfunded projects boomed in recent years. The platforms Talaka.org and Ulej.by offer over 2,000 projects for crowdfunding in all spheres of life, encompassing technology, culture and art, urban issues, education, travel, sport and society. While not all of them, of course, raise the necessary funds, a number of large-scale success stories and many smaller ones have occurred. The most successful and perhaps the only long-term crowdfunding example is the charity platform Imena (“Names”). In 2017, the platform managed to collect $165,000 for 12 projects. The funds also covered the full expenses for a team of six people including salaries. The team itself admits that they did not expect such a successful outcome. Currently, the campaign to crowdfund the publication of translations of Sviatlana Alexievich’s five volumes into the Belarusian language has gathered five times more than required; $100,000 instead of the original target of $20,000. Surprisingly enough, campaigns with a clear political flavour have also succeeded in raising funds. The BY_help campaign that started in March 2017 raised $55,000 to help Belarusians and their families who suffered as a result of the March public protests, the White Legion case, and other political activities. The most recent #BNR100 campaign gathered $27,000 to organise Freedom Day celebrations – marking the 100th anniversary of the proclamation of the Belarusian People’s Republic. 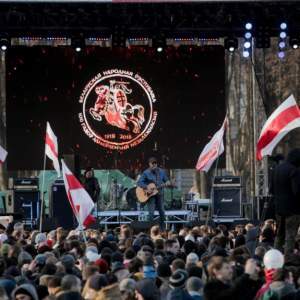 Traditionally one of the major annual actions by the opposition, this year the authorities allowed the holding of a peaceful Freedom Day celebration with a concert in the very centre of the capital. The event attracted up to 50,000 people. Despite state-imposed restrictions, these obstacles do not make local fundraising completely impossible. Sviatlana Zinkievič, head of the Office for European Expertise and Communication, in a comment for Belarus Digest notes positive trends of local fundraising. Organisations that previously could not even consider engaging in local fundraising now implement successful projects. The range of issues and projects which cannot collect funds constantly decreases. Crowdfunding platforms and competitions like “Social Weekend” present a fine opportunity not only for raising funds but also for increasing the visibility of such initiatives. They can also consult the CSOs very professionally so that both experienced and young organisations have a chance to succeed. The numerous success stories prove that CSOs can operate in Belarus, at least partially, with the support of local donors. But to be fair, the long-term activity of any organisations so far looks impossible through local fundraising alone. While it became easier to crowdfund for a book, an event or campaign, an independent civic organisation or a media outlet still cannot survive without institutional support. On 18 March, the Paralympic Winter Games in Pyeongchang finished with Belarus eighth in the medals table. While the state invests in its paralympics competitors, the living conditions for other Belarusians with disabilities remain discriminatory. Recently, various initiatives and individuals have promoted a barrier-free environment and inclusion for people with disabilities in such spheres as fashion and cultural life. Although public spaces for this social group have been opened up more than before, Belarusians only partly accept people with disabilities as equal members of society. After the ratification of the Convention on the Rights of Persons with Disabilities in 2016, public areas in Belarus started to adapt for wheelchair users. However, the Office for the Rights of Persons with Disabilities has noted repeatedly that most ramps have inclines too steep, while lifts are too small for wheelchair users. In January 2018, the labour minister, Iryna Kastsevich, said that the government plans to introduce an administrative responsibility for the creation of a barrier-free environment. According to Belstat, only a third of the 180,000 employable people with disabilities in Belarus have a job, while the rest live on a salary of $75 to $112 (data for August-October 2017). In that regard, in January the authorities initiated a discussion about the proposed introduction of a 5% quota for the employment of people with disabilities. Of more than 500 thousand people with disabilities in Belarus, most remain invisible. Only part of the public transport system has special ramps and places for the disabled and public spaces remain inaccessible because of high stairs or small premises; this forces thousands of people to stay home. Greater restrictions also impose access to the culture and the labour market, where persons with disabilities lack representation. According to the National Research Institute of the Ministry of Labour and Social Protection, more than 70% wheelchair users rarely leave their homes. Aliaksandra Chychykava attracted attention to people with disabilities in the beauty industry when, in 2017, she won the Miss Wheelchair World competition. In February, the Tumany bar in Minsk refused to admit her into the venue because of its unsuitability and the presence of many drunken people. The reaction of Chychykava drew media attention to the place of wheelchair users in Belarusian society. While the authorities claim to work on developing infrastructure for people with disabilities, such cases demonstrate the real situation with an access to public places. Belarusian fashion designers have paid attention to the needs of people with disabilities. In May 2017 they organised the first fashion show with models using wheelchairs. Katsiaryna Tsikota released a TIKOTAinclusive collection with a special range of clothing designed to be comfortable for wheelchair users. Dozens of wheelchair users attended the show, including paralympians and social activists. So far, this remains the only show in Belarus using models in wheelchairs, while the massive state-owned enterprises ignore a need of such clothes production. In May last year the project won the Grand Prix in the annual competition of the best social initiatives at Social Weekend 9. On 4 March, models in wheelchairs took part in another popular event, the Hrodno Fashion Show. Designers Valiantsina Apanovich and Volha Vialichka from Hrodna created two trendy collections for people with disabilities. Before 4 March, the organisers refused to let people in wheelchairs from Hrodna perform at Hrodno Fashion Show for two years because of “inconsistencies with the aesthetic format of the show,” according to the show’s administrators. After models in wheelchairs participated in the show, the designers announced their intention to produce and distribute a catalogue of clothes for wheelchair users. In contrast to civil society activists, wheelchair users appear very rarely among Belarusian businessmen. For ten years Alexander Mahortau has produced qualitative and stylish wheelchairs at his own Minsk-based enterprise, Invatech. As the businessman told Radio Liberty, state-produced wheelchairs have a very low-quality and ugly appearance. Since the majority of his employees use wheelchairs, they aim to create comfortable wheelchairs taking into consideration users’ measurements and preferences. Mahortau receives orders from abroad and from famous Belarusian wheelchair users. For instance, Chychykava performed in the Miss Wheelchair World competition in one of the company’s wheelchairs. The Belarusian authorities are ready for dialogue and action in support of persons with disabilities but remain reluctant to take the initiative. Civil society activist Alexandr Audzevich has demonstrated an ability to negotiate with the authorities. Thanks to him, the town of Lida has the first beach in Belarus adapted for people in wheelchairs. In addition, an activist successfully raised money through crowdfunding in order to travel 4,000 km through Europe on a manual bike, raising awareness about other Belarusians in a similar situation. 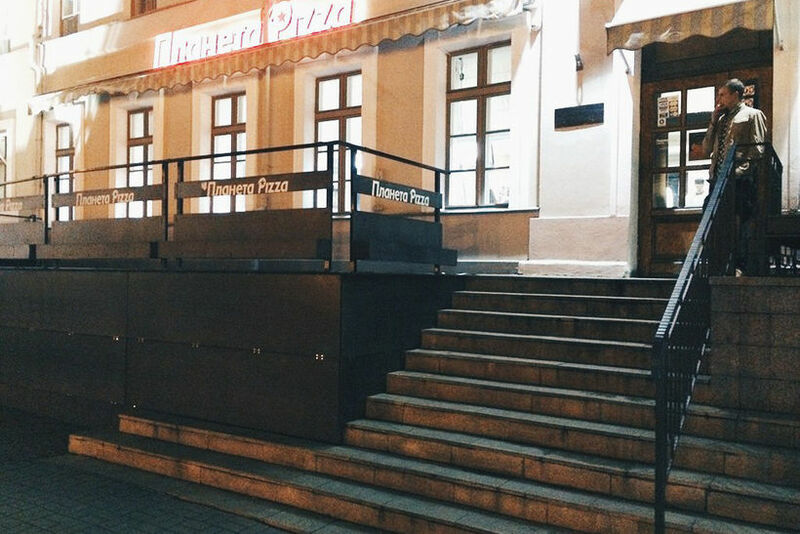 Audzevich constantly visits Minsk’s cafes and restaurants, and motivates wheelchair users to pursue an active life. Most public places in Belarus remain unavailable for wheelchair users; a problem that can be solved at the local level. At the end of 2015 a journalist from Kyky.org, Dmitry Valotka, checked the availability of 11 central cafés and restaurants of Minsk – only one of which wheelchair users can access on their own. According to the owners of such cafés, people with disabilities do not visit them, “so there is no need for [special] equipment.” Research conducted by the Belarusian State University and the Office for the Rights of Persons with Disabilities in 2016 revealed that only 60 hotel rooms in Minsk suit tourists with special needs, and only five tourist agencies organise tours for wheelchair users. Inclusive Belarus without governmental reform? In recent years, the authorities have begun to address the problems of people with disabilities. After the Belarusian Parliament signed the Convention on the Rights of Persons with Disabilities in 2015, wheelchair-friendly infrastructure has become topical once again. The authorities focus on the question of benefits, the definition of disability in the framework of international qualifications and the introduction of quotas for the employment of people with disabilities. However, Belarusian society remains a long way from accepting people with disabilities as an independent part of society. This is demonstrated through the attitude in public places. At the same time, there exist positive examples in spheres such as fashion shows for wheelchair users or businesses created by people with disabilities. To create favourable conditions for wheelchair users, Belarusian activists and authorities must cooperate closely towards the education of society. Labour quotas discussed in the parliament, better conditions for businesses owned by disabled as well as widening spheres of inclusion of disabled might lead to real, not merely formal, improvements.